People often forget about their spare change — whether it’s left to pile up in different places or regularly put into a jar, it accumulates until there’s too much of it to count. 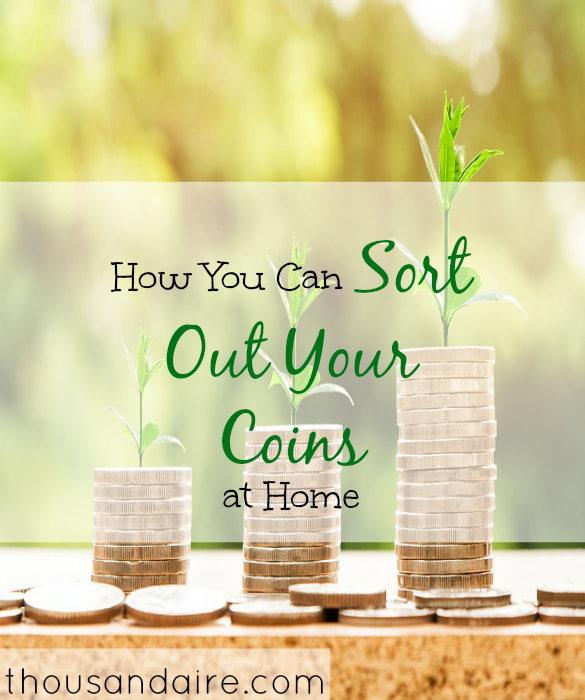 Here a few ways to sort out your coins at home. You can have wrapped stacks of coins that look like your bank counted and rolled them up for you, only you do it yourself. You can do this in two ways. First, you could pick up colored rolls of paper at the bank for free and then roll them yourself — the result will be standardized allotments of coins. This forces you to put similar coins together, so for instance, if you have a laundry machine that only takes quarters, you have them all together. The second way to do this would be to use other paper to roll up a stack of coins and label them with the amount you have stacked up. Another way to do this doesn’t actually involve a roll of coins, but rather envelopes. Put all the quarters in one envelope, dimes in another, nickels in yet another, a pennies in the last. The more coins you have, the more time you’ll save with a store-bought coin sorter. The lower-priced version: speed sorting trays. Each tray has different sized holes for each type of coin. Empty the contents of your coin jar into one of these trays and the appropriate coin will fall through. Then you repeat with the different-sized trays until all your coins are sorted. Then there are electric coin sorters, which require more of an investment than the speed sorting trays, but the time savings is even greater. 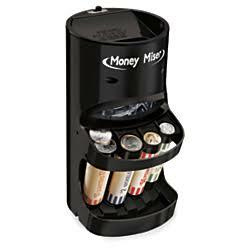 Functioning like a smaller version of the coin sorter machines, this home version lets you pour in all of your coins at once, and it puts them into paper wrappers for you. Why Don’t You Sort Out Your Coins at Home? Sorting coins at home enable you to capture money you might not otherwise have put to good use. You can more readily bank it or spend it once it’s sorted. Readers, how do you manage your spare change?